In this paper, the authors have tried to validate the risk perception of ERP adoption in SMEs using Failure Modes and Effects Analysis (FMEA). The work significantly contributes to the existing body of ERP adoption knowledge to the SMEs. Foremost, an ERP adoption life cycle addressed to SMES comprising of five distinct phases is proposed. Second, a well-laid out inventory of risk factors have been identified. Third, FMEA is applied to understand, validate the risk perception of respondents on ERP adoption in SMEs. Exploiting the ERP System, Inadequate financial management, Lack of Owners' Commitment, Ineffective communication with users and change in project scope are the top five highest perceived risks based on the risk perception number (RPN). The process centric approach to system implementation through FMEA also prescribes pertinent recommendations to the stakeholder ecosystem to proactively defend against vulnerabilities during the ERP adoption life cycle. One of the significant contributions of the information technology domain has been the evolution and revolution of enterprise systems. They carry on a pivotal role in the integration of the core business processes, thereby ensuring real-time information processing, transparency, standardization, and accuracy and minimize duplication of data. Shanks et al., (2003) stated that ERP acts like a central nervous system of the human body because it connects and affects the whole of the system. Though enough evidence is put down to highlight the significance of ERP practically not many organizations have had success in ERP adoption. Many surveys have found disappointing and disastrous implications of ERP (Trimi et al., 2005). Many researchers and practitioners have placed and analyzed several factors regarding ERP adoption. 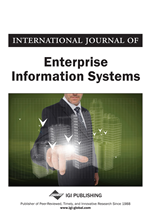 The ERP initiative is a costly matter for many organizations and hence decisions on ERP adoption is an outcome of many iterations of assessing the purpose, mission, maturity, status on the organization’s growth and growth expectations, and so on ERP implementation has proved to be quite risky and complex, which has resulted in failure for many organizations (Hajilari et al., 2017; Zeng et al., 2015; Chan et al., 2012). Most of the common ERP software is packaged ones and poses threats, if the modules do not integrate easily with the business operations. The effect of misalignment can sometimes be so severe that it may result into complete shutdown of the company. To avoid such failures in ERP implementation, it becomes very essential to understand the perceived risks related to the implementation and operation of ERP systems (Wright and Wright, 2002; Davenport, 1998). Some companies have succeeded in implementing ERP systems, while other companies have failed in this regard, illustrating that ERP systems are complex and risky to implement and operate in companies. Perceiving and understanding the risk factors related to the implementation and operation of ERP systems could have a positive impact on the success of these systems. There is a lot of excitement among the SMEs about ERP adoption due to the fact that technology adoption can enhance competitiveness and drive business growth (Gunasekaran et al., 2011). The limitation of ERP adoption in SMEs is multi-dimensional. There are exogenous and endogenous factors that are contributed by all the 5Ms namely men, money, machines, materials and methods. Structure and organization reasons backed by the paucity of adequate knowledge and availability of financial resources have always been cited as the major inhibitor for ERP adoption in SMEs (Buonanno et al., 2005). The result, SMEs are unable to withstand the complex implementation methodologies, advanced process modelling and reengineering techniques before the ‘as is – to be’ gap is analyzed (Kramer et al., 2016). SMEs will need a failure mode analysis of ERP adoption, which is simple, transparent, yet rich and most importantly sync with their business terminology and practices. Therefore, our principal motive is to explore and recommend a technique which enables organizations to perceive and understand risk factors in order to make ERPs more successful and reduce the failure of their implementation and operation (Mukwasi and Seymour, 2015). To realize our motive, we have explained and analyzed the application of Failure Mode Effect Analysis (FMEA) to systematically approach and address the risk perception and potential pain points along the ERP adoption life cycle in Small and Medium Enterprises (SMEs).